Hamilton Safe provides the full spectrum of choices for safes, including flexible modular safes. 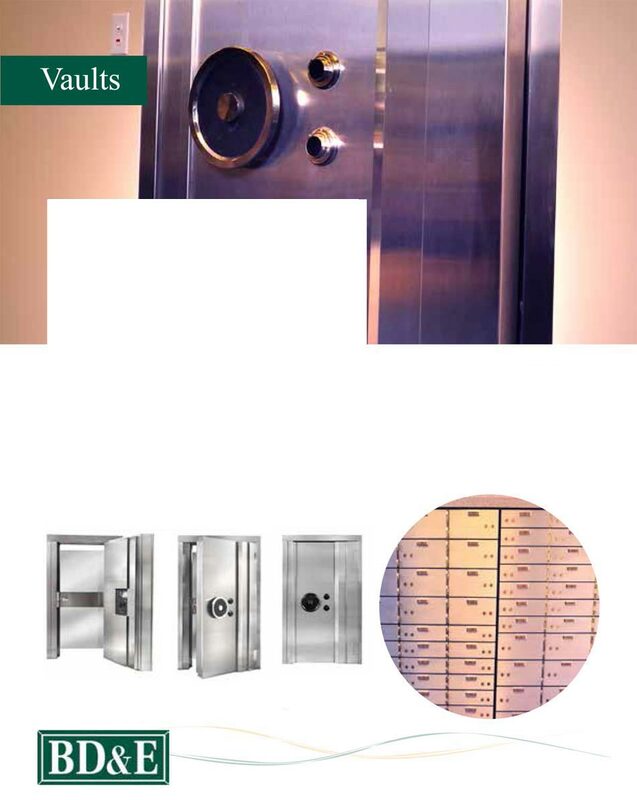 Our vault doors offer maximum security and design appeal. Our safe deposit systems help you optimize your square footage while meeting customer expectations. BD&E’s modular vault systems are ideal for renovations, new branches and secure corporate areas. Are your vaults and safe deposit areas due for a security upgrade?